That sounds very depressing, but the good news is that there is something we can do about it. While we are waiting for governments to do something drastic about it, we can take matters into our own hands. We sometimes forget how much power we have as consumers. Recycling is a great start, but it takes a huge amount of resources and energy to manage all that waste. The best thing for our planet and us is to avoid trash in the first place. 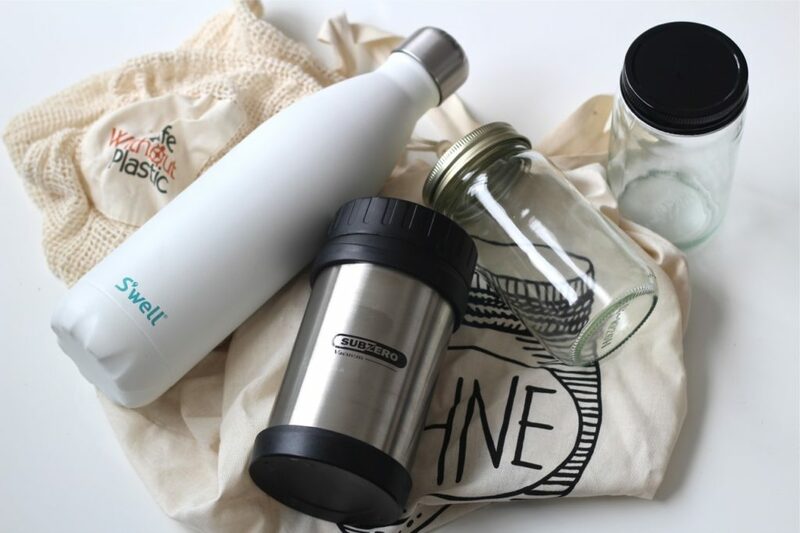 With my 5 steps to reduce your plastic waste I will show you easy alternatives for any lifestyle, and the best part is that you will money as well. 1. Say no to plastic bottles. Choose brands that use glass bottles whenever you grab a beverage on the go. 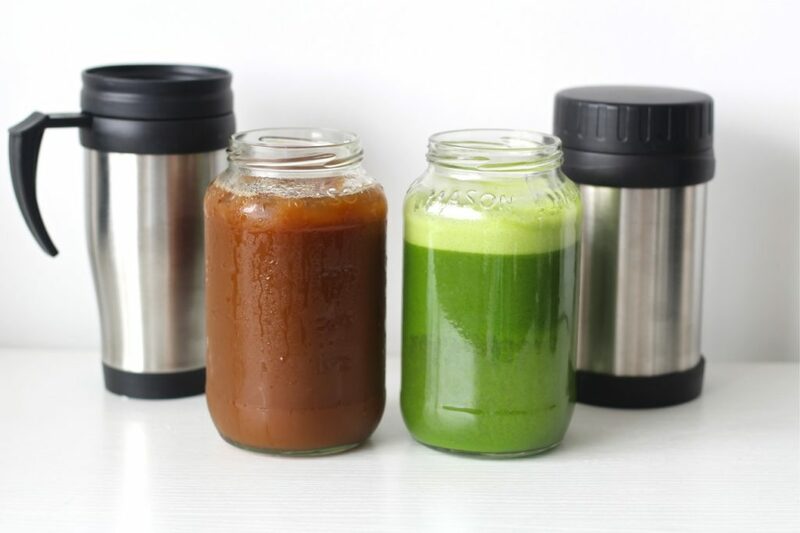 Bring your own mason jar or any other reusable jar and get a fresh juice instead of a bottled one. Bring your reusable water bottle with you. 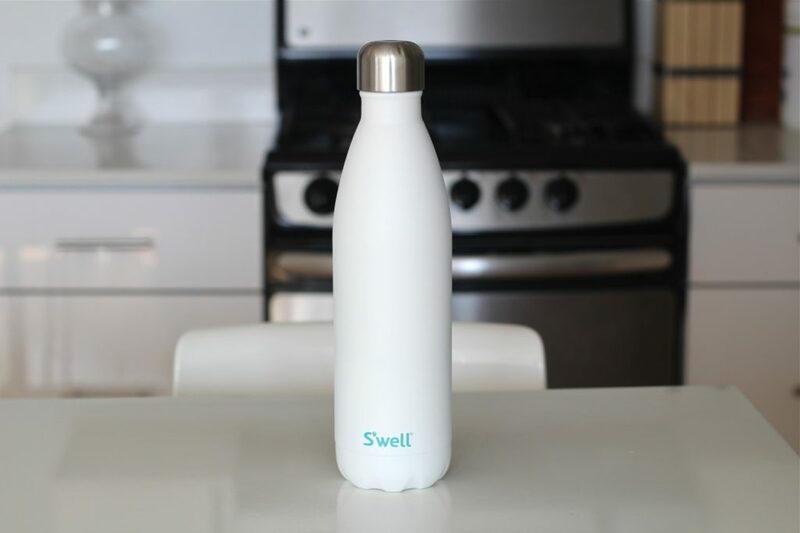 My favorite brand is S’well. It keeps the water ice cold for 24 hours and your drinks hot for 12 hours. Say bye bye to warm plastic tasting water in the hot summer months and save a lot of money in the long run. 2. Ditch the coffee/tea or smoothie to go cup. Choose to actually sit down in a café or juice bar/restaurant to enjoy your drink in a real glass/cup. It will do your nervous system good too. Bring your own reusable cup or mason jar; most places will give you a discount. How much will it affect your happiness or day if you just don’t get a drink to go at all? A lot of it is a habit and not too long ago people were perfectly happy without it. You will save lots of $$$ (our beloved $4 dollar Starbucks coffee a day adds up to $1460 a year!!!!) and do the planet good! 3. Say no to plastic bags. 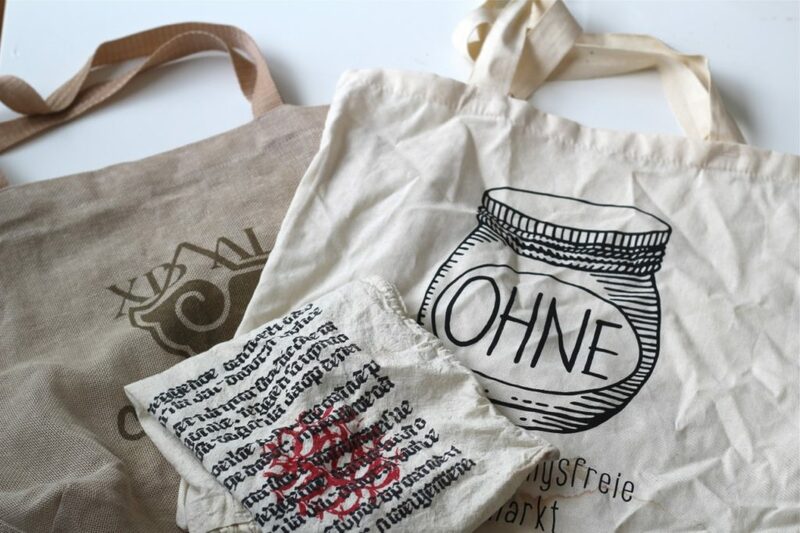 Have your own reusable shopping bag in your purse or backpack. A lot of supermarkets will give you a discount when you bring your own bag. Use the plastic bags that you already have (don’t we all have tons of them piling up somewhere in the house?) for your trashcan and once you run out start buying compostable trashcan bags like this one. 4. Avoid plastic when grocery shopping. Buy cheese, meat and fish at the counter instead of packaged in unnecessarily big and sturdy plastic. Buy fruits and vegetables from the fresh produce section that are not precut or wrapped in plastic and nets etc. Shopping at your local farmers market will make this a lot easier. Avoid the small plastic bags for fruits and veggies. Use these reusable ones instead or simply omit them. 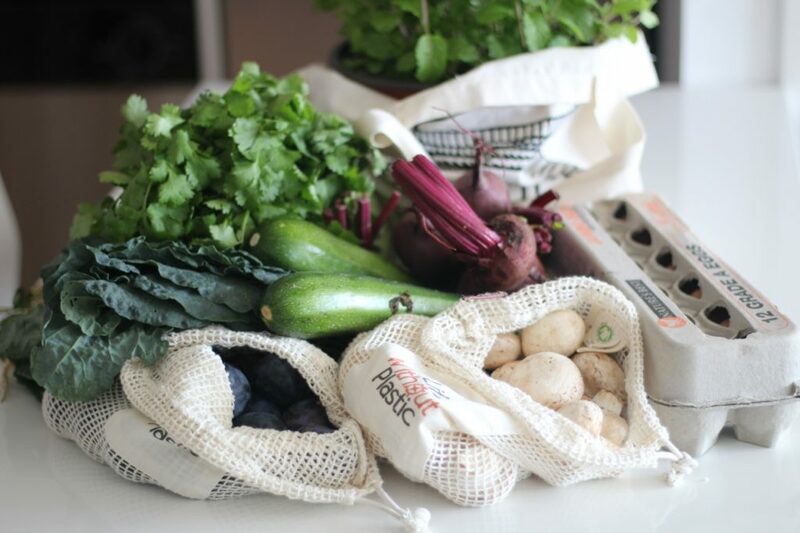 Check out my shop for all the produce bags I love and use. Potatoes, bananas, avocados etc. don’t need to be in a bag. Buy oils and sauces in glass bottles/jars. Ditch processed and packaged foods whenever possible. It is bad for you anyways. If available to you, buy grains, nuts etc. in the bulk section of the market bringing your own containers or produce bags. 5. Ditch or cut down on take out food. Have you ever wondered why you have to run to take out the trash every day? Have you ever taken a second to observe the amount of trash after ordering take out food? 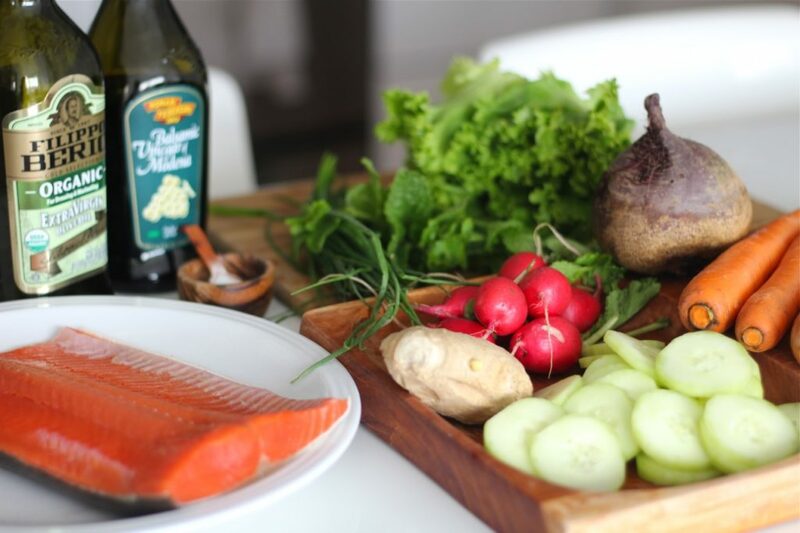 Home cooked food is cheaper, healthier and produces a lot less trash. If you don’t know how to cook or find yourself being too busy, subscribe to my newsletter to get a copy of my free e book on home cooking for busy people. Go to a restaurant instead of ordering home. When eating at a deli, ask to get a regular plate. If they don’t have it, at least don’t get the plastic lid and the bag. Ask at your local stores and restaurants for plastic alternatives and if they can help reduce waste. Ask to get your drink without a straw when you are in a restaurant. 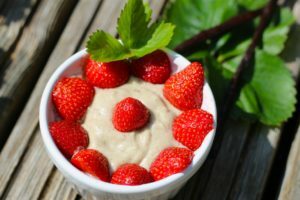 If you are ready to make more changes, look for alternatives of the products that you want to replace or that you ran out of. Life without plastic has great resources for zero waste products. « What is the Autoimmune Protocol?